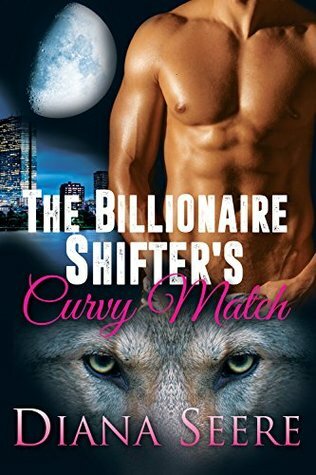 The Billionaire Shifters Club is a new series featuring the five Stanton siblings, four brothers and one sister who are all part of an ancient shifter family living in modern America. The subterranean club-within-a-club beneath the streets of Boston, Massachusetts holds secrets only the Stantons and their fellow shifters know. The sound of screeching rubber on asphalt drowned out the rest of her words. They both paused, expecting to hear cars colliding. Instead, there was eerie silence—and then the plaintive cry of a wounded animal. They both ran to the window. Outside, the usual neighborhood lowlifes loitered on their grubby street, where the most vibrant business was a check-cashing place. And a bar. Actually, a lot of bars. And was that a limo? What the hell was one of those doing here? Smoky was the neighborhood stray. He should’ve been ill-tempered, given his bad luck to live on the streets, but his was the friendliest face on the block, looking happy to see you, always eager for a pat, his tail wagging. The limo might’ve killed the poor little guy. Taking three stairs at a time, Lilah flew down the stairwell to the stained security door and out the rusty gate to the sidewalk. The usual drug dealer was standing on the corner, interrupted from talking to whoever was inside a parked silver Chevy. Under that car, only a few feet from him and still whimpering, was a huddled mass of pale fur. “We have to help him.” Lilah glanced up and down the street, preparing to cross, her long hair flying as she whipped her head back and forth to make sure it was safe. “Different guy,” Lilah said, although it wasn’t. She strode into the street just as the driver of the limo was getting out. She couldn’t leave Smoky to die in the street with those scumbags. Then she saw the limo driver pull his arms back, hands on hips, revealing a barely-concealed gun on a holster around his chest. The window in the back of the limo remained up, and why shouldn’t it? Why would some rich dude want to get dirty? Why would he care if he’d run over some poor homeless dog? The tiny scar above Lilah’s left eyebrow began to throb. It jolted her, making the scene before her look shimmery. Unreal. She pressed her fingertips into the tiny divot and hoped the throbbing would go away. The last thing she needed now was a three-day blinding headache. And she’d run out of her meds. No money. “What’s wrong, Lilah?” Jess grabbed her elbow and pulled her out of the middle of the street. She’d just frozen there, staring at the back windows of the limo. Lilah could hear Smoky’s whimpering and the city traffic, but it all came as background noise through the throbbing in her head. It wasn’t quite pain. The pulsing felt like it pierced her brain, a second heartbeat she couldn’t quite follow. Her vision was fine, and that meant it wasn’t a migraine. Then what was this? And why did it worsen when her eyes flickered toward the back windows of the limo? “Let’s get Smoky,” Lilah said, though her mouth felt like it was filled with cotton. “I’m fine.” Lilah forced herself to move, shooting an icy glance at the neighborhood felon before she squatted down to the car’s rear bumper. “Lilah, you look really pale,” Jess insisted, frowning. She looked so much like their mom when she did that. “Here, puppy,” Lilah cooed, reaching out a hand. She knew the biggest danger was if Smoky ran away again and hid where nobody could help him, so she grabbed him by the scruff of his neck and pulled him as gently as she could out from under the car. Luckily, Smoky was a small thing, barely fifteen pounds, and she got him bundled up in her arms without having to drag him far. He relaxed in her arms, his shivering more from fear than any injury. Thank goodness. But as soon as she stood, the throbbing, pulsing pain returned. Her gaze was pulled to the back window of the limo, now open. To the man sitting in the shadows. Him. 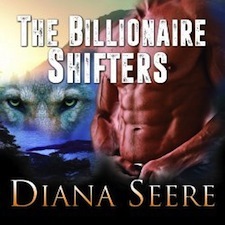 Her head felt like someone had dropped a brick on it, her body filling with heat and lava. What was the matter with her? She had to get Smoky inside. She didn’t know anyone who rode around in a limo, so why did she feel like she did? It didn’t matter. She had to get closer. She had to see him. Holding Smoky in her arms, Lilah took a step toward the limo, then another. Lilah was beyond reason, the pounding turning into a word, a word that had no sound, no form, no sense. That voice. It pounded like a hammer forging steel. She continued to advance on the shining black limo, barely noticing when the driver climbed inside and slammed the door. She was fearless in her uncontrollable need to see that face, to know he was real. The limo peeled out, its tires screeching as it drove past her only an arm’s-length away. Two bright blue eyes, glittering with otherworldly sharpness, met hers through the open window. Gold highlights tickled his hair, a honey brown that curved up at the neck, a little too long to be all business, with waves she wanted to sink her fingers into. A strong jaw, set firmly, and those wild, seductive eyes… oh. And then the voice changed in an instant. Can't wait to read this one. Which country personafies romance for you and why?